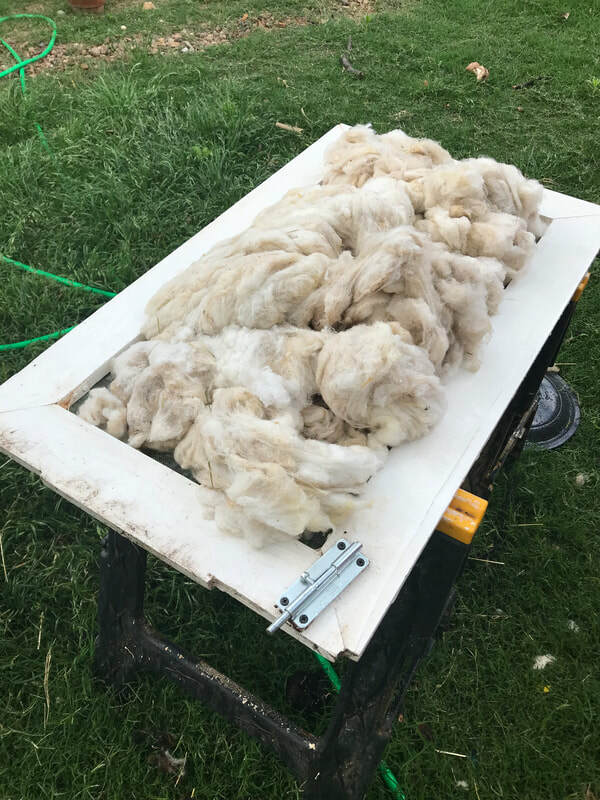 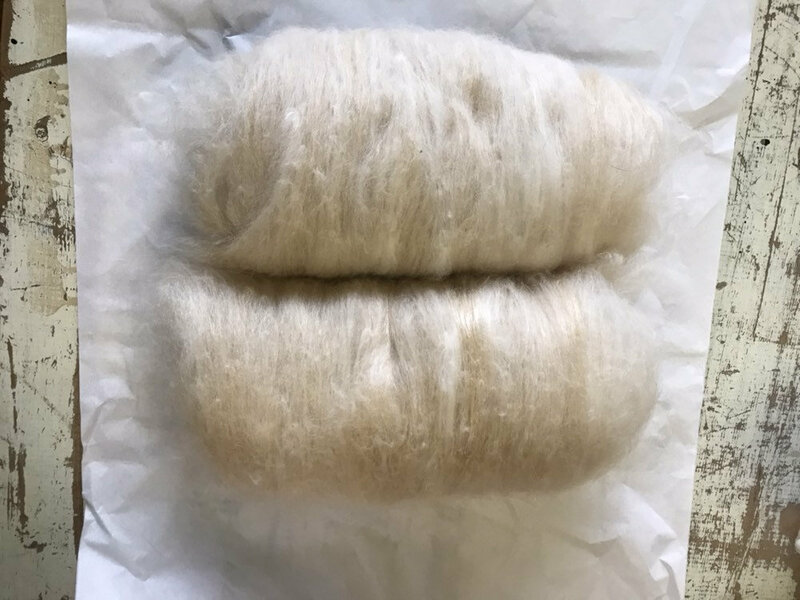 See my Etsy Shop to support the farm by buying some of my silky soft angora wool, batts, blended batts and local Alpaca wool! 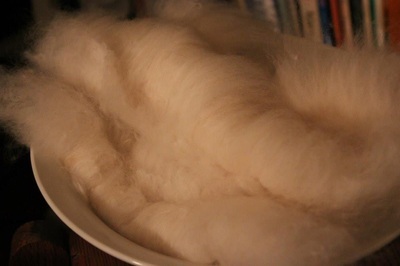 I love fiber arts as an extension of my rabbit habit. 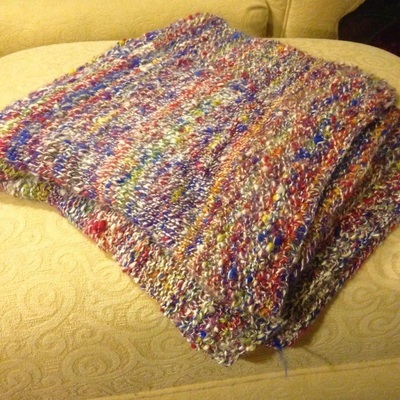 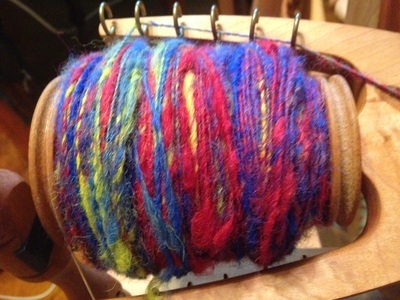 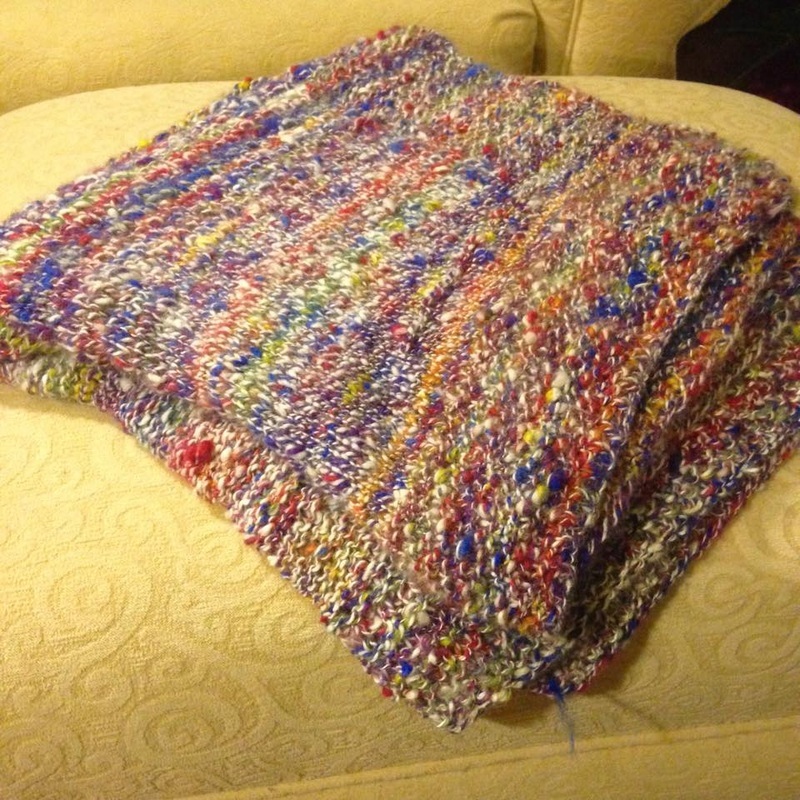 Spinning and knitting are a relaxing way to spend ones evenings. 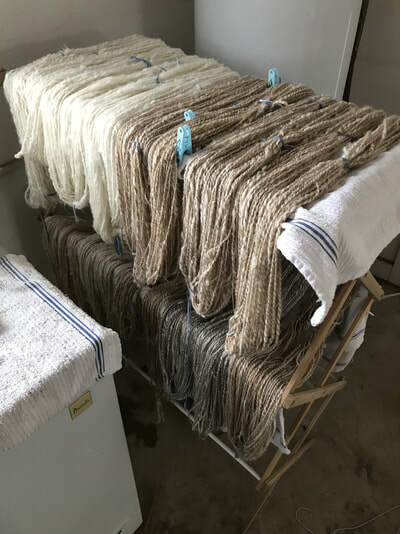 Here are just a few photos of what we have been up to. 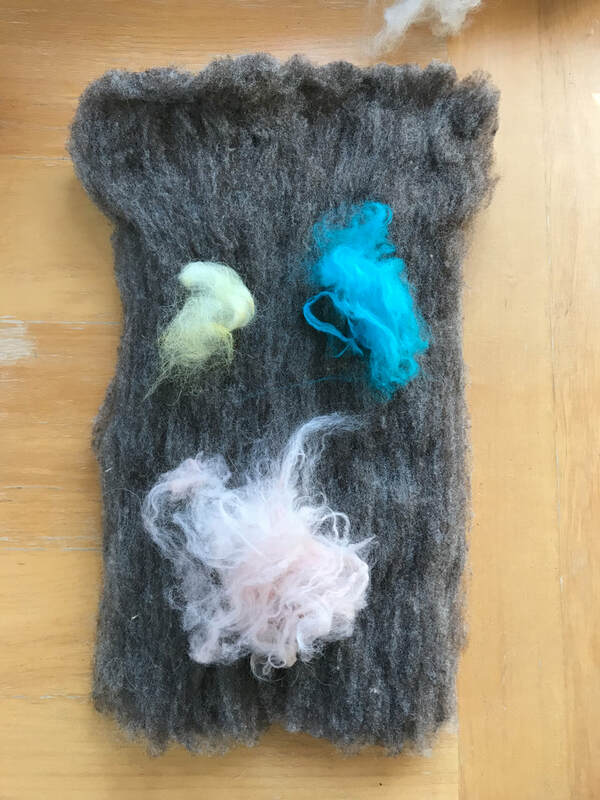 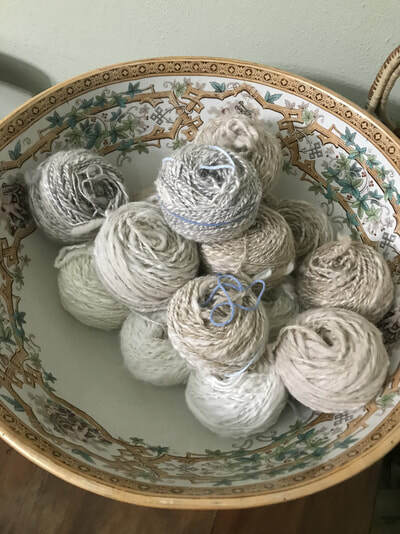 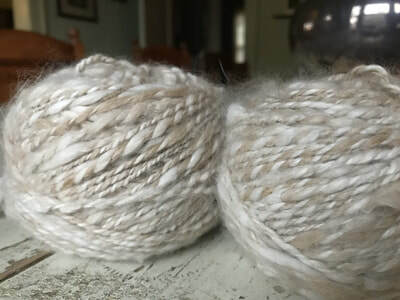 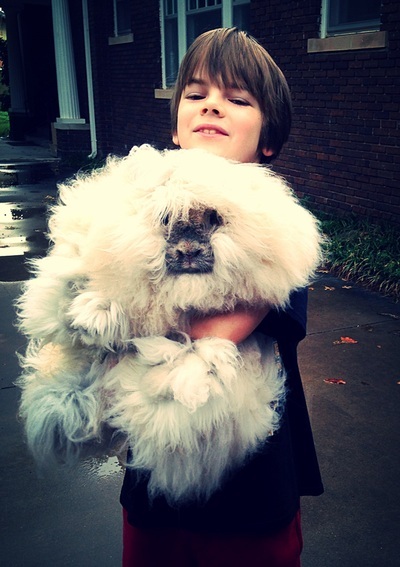 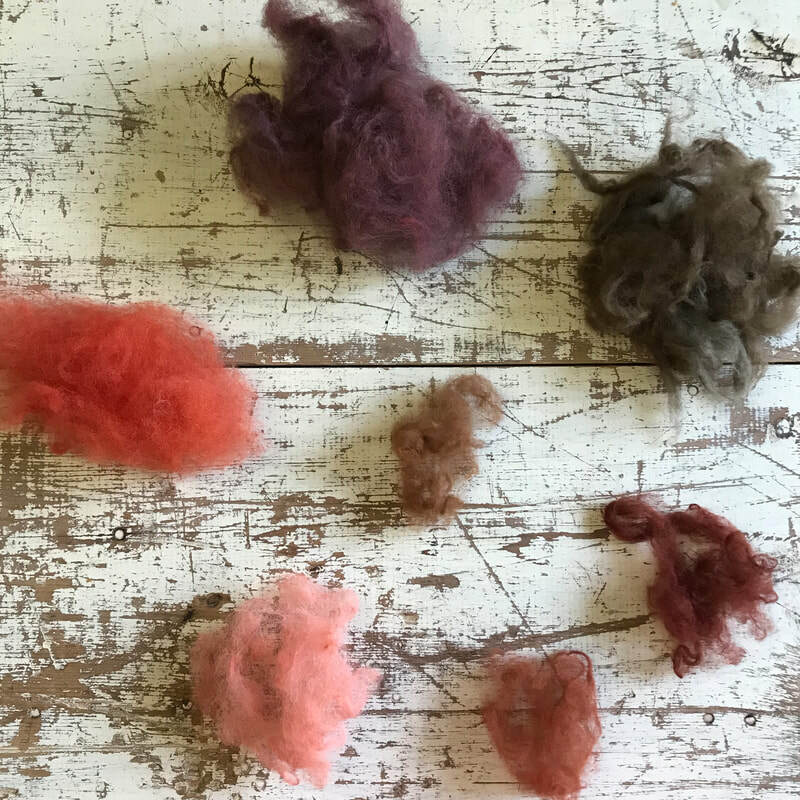 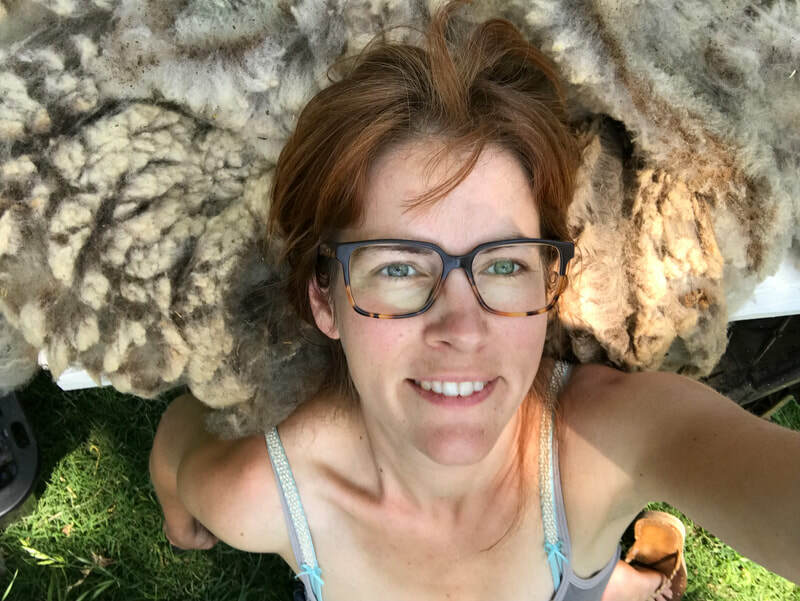 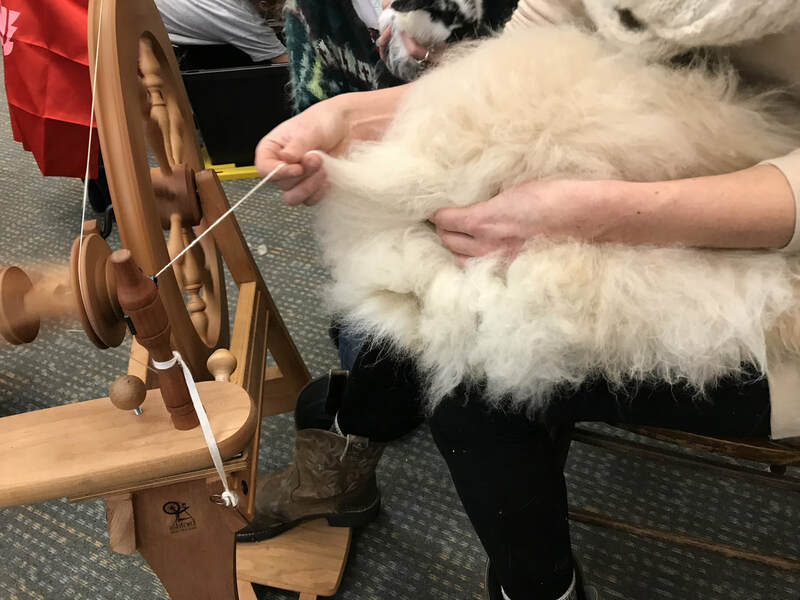 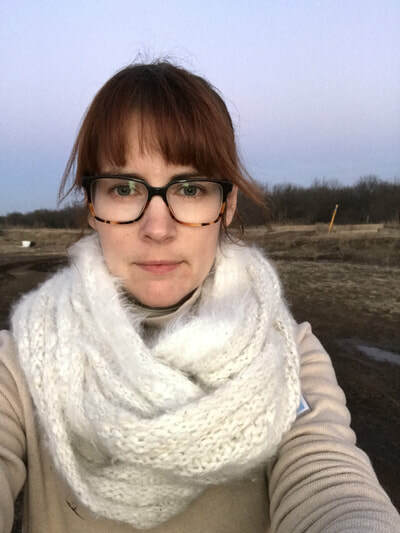 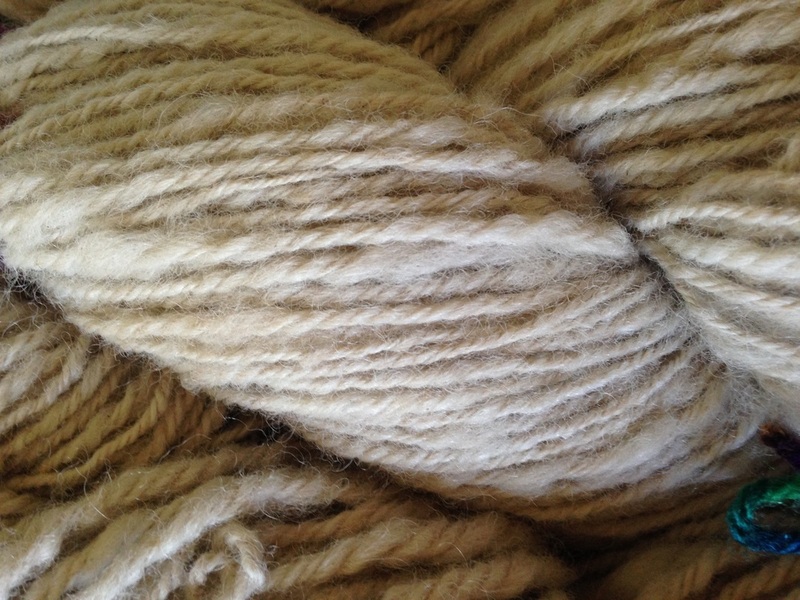 Currently I am going through a phase where I experiment with alpaca, mohair, merino, longwool breeds and silk to discover what blends best with angora. 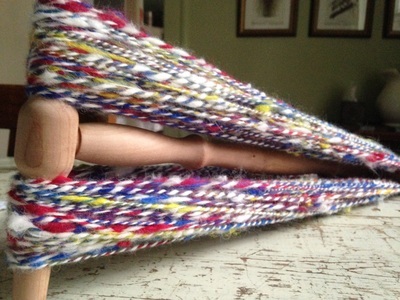 My children particularly enjoy helping me blend on the drum carder. 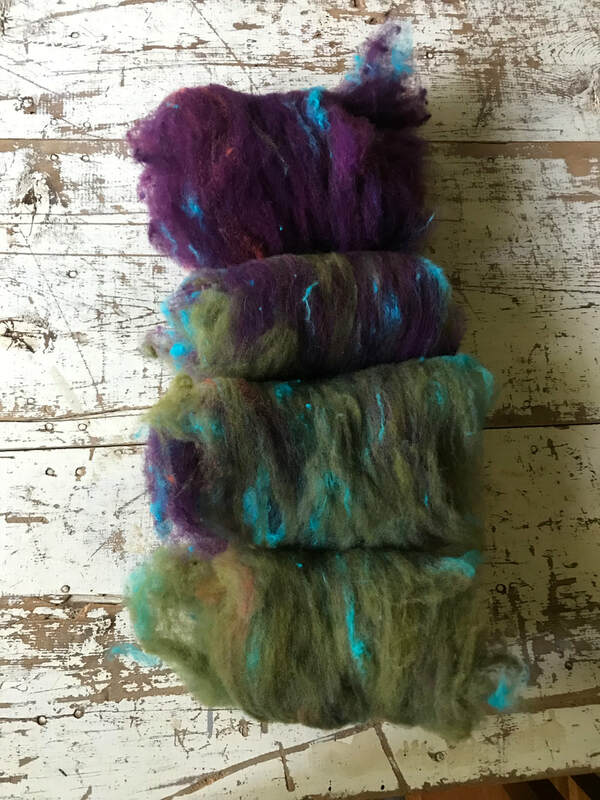 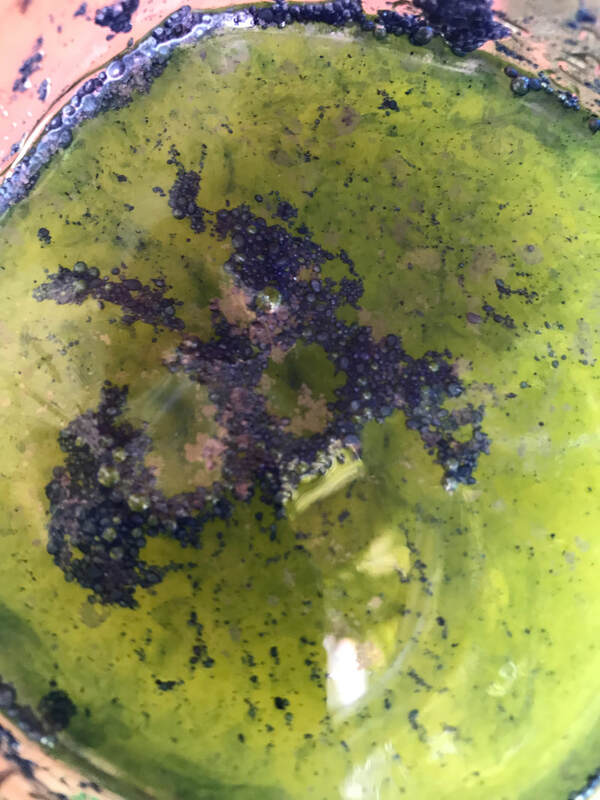 After a brief stint using acid-dyes I am teaching myself to work with naturally sourced dyes like cochineal, indigo, chamomile, onion, madder and woad. 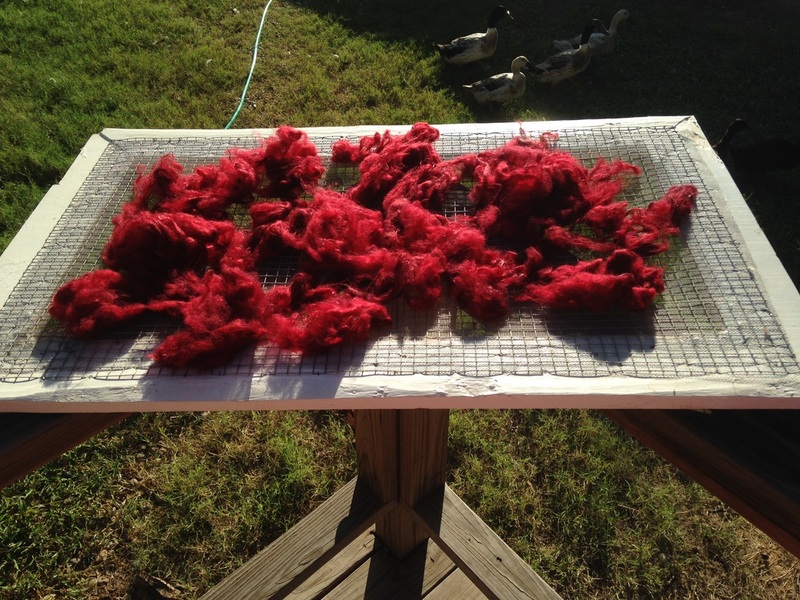 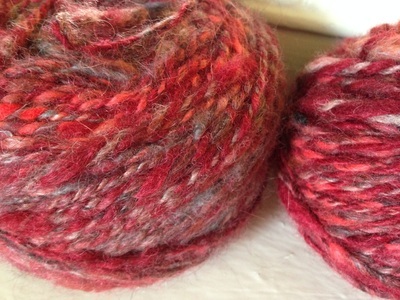 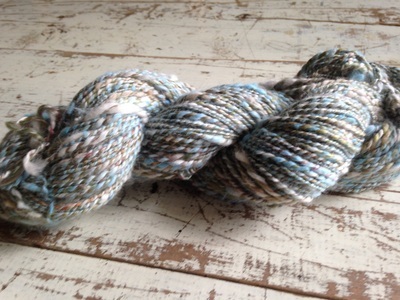 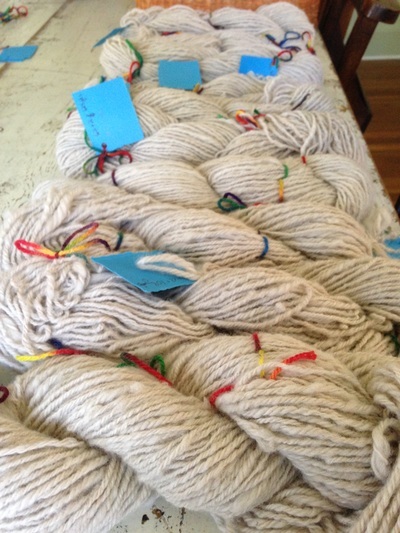 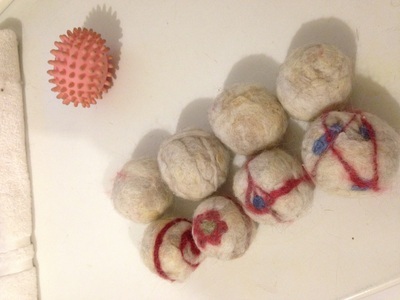 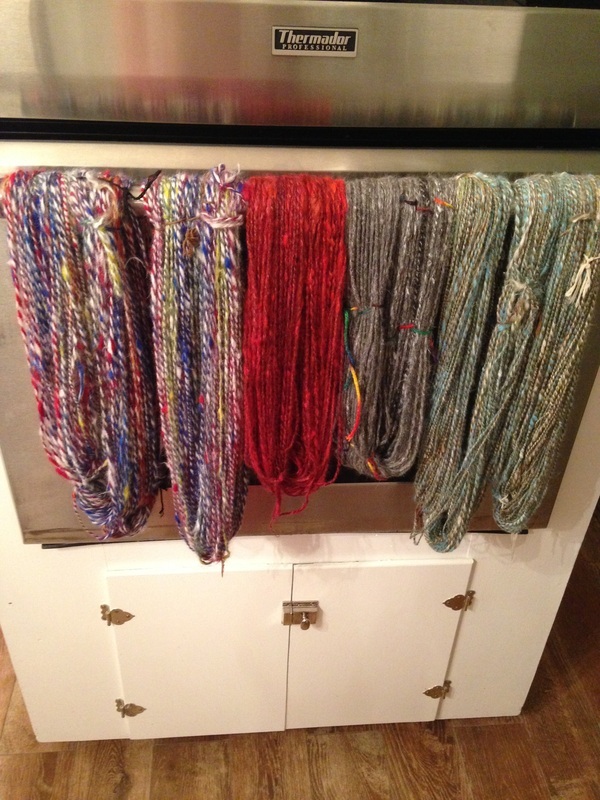 I feel my background in bio-medical research has helped reduce the learning curve involved with natural dyeing. 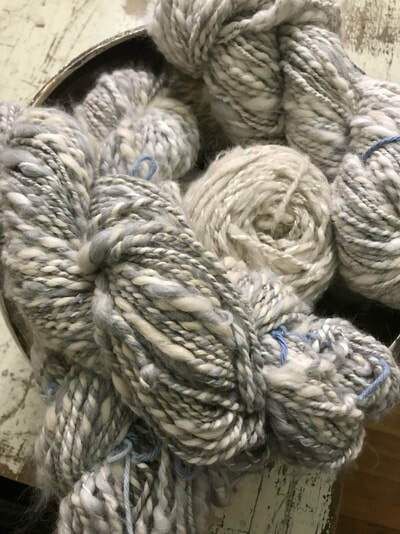 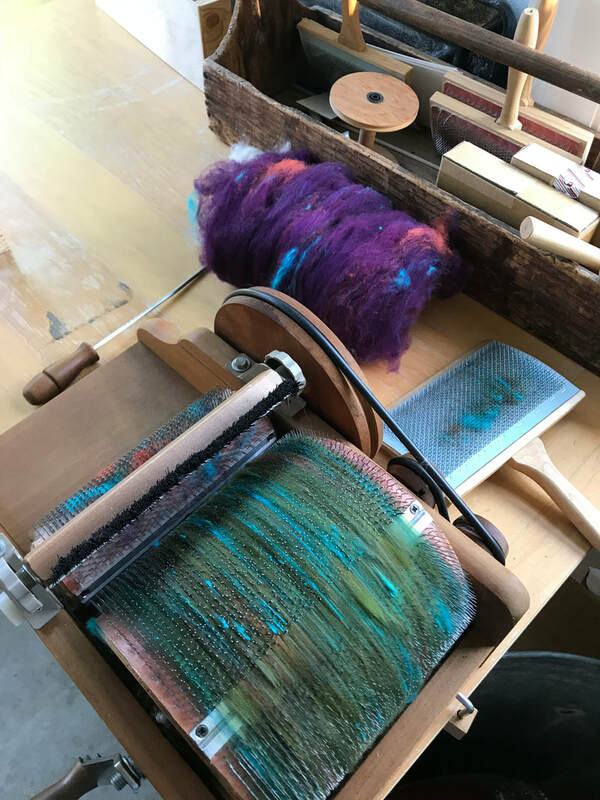 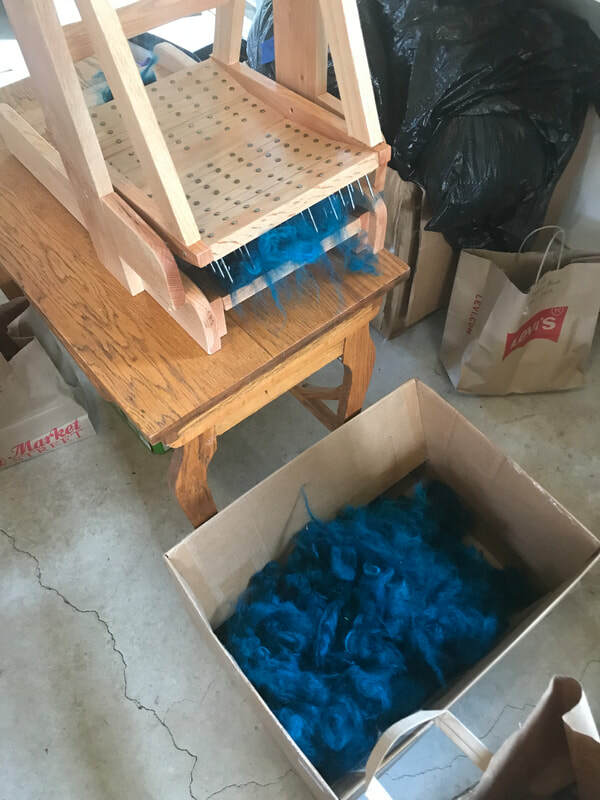 Eventually I wouldn't mind giving spinning and dyeing lessons, but until then I am trying to improve my craft by creating beautiful things for my family.